Contractors will grind a slick 3-mile stretch of concrete pavement that contributed to a pair of truck crashes last week. 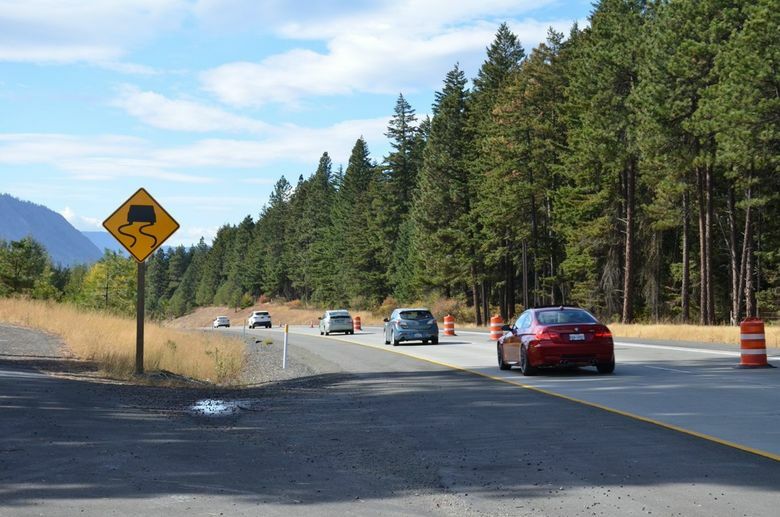 The right westbound lane of Interstate 90 will be closed on the downhill slope into Cle Elum all week, while contractors grind a slick 3-mile stretch of concrete pavement that contributed to a pair of truck crashes last week. The shutdown goes from mileposts 90 to 87, from near the Indian John Hill rest stop to the valley, where motorists gain speed and momentum. 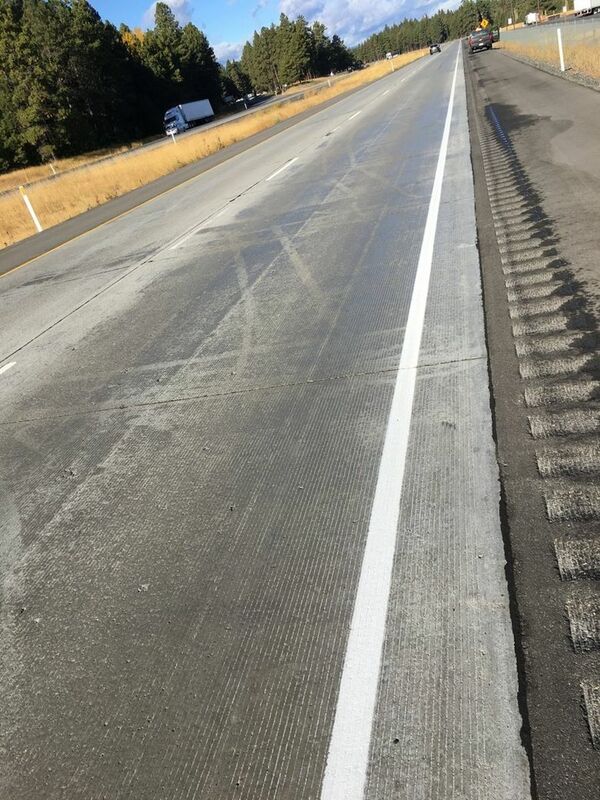 Surface grinding will last until at least this weekend, said Brian White, assistant regional administrator for capital projects and development at the Washington State Department of Transportation (WSDOT). One of those wrecks involved five tractor-trailers and three cars last Monday. Then a truck toppled in another injury crash on wet pavement Tuesday, state troopers said. Because of the back-to-back crashes, the state closed the lane for public safety since Friday and began repairs Monday, White said. State troopers are also reminding drivers to control speeds and adapt to rainy conditions. The problem involves grooves in the road that are set by freeway builders, known as “tining,” that in this case are parallel to the lane lines. This aids the flow of runoff, and can reduce noise. White said they’re supposed to be 3/8 of an inch deep, but post-crash inspections found 1/8 of an inch of thickness. This might be from normal traffic wear-and-tear, following a full winter and wet spring, he said. Core samples don’t show any unusual flaws in the pavement quality, he said. But inspectors did find a slick surface layer that might be inherent, or could be a spilled chemical, or even some local product like apple wax, White said. So contractors will tine the pavement again. The lane might reopen in time for Sunday travelers to return west. Or if progress is slow, White said, contractors may have to pause several days for other work, leaving the area in one-lane traffic until they can return and finish. 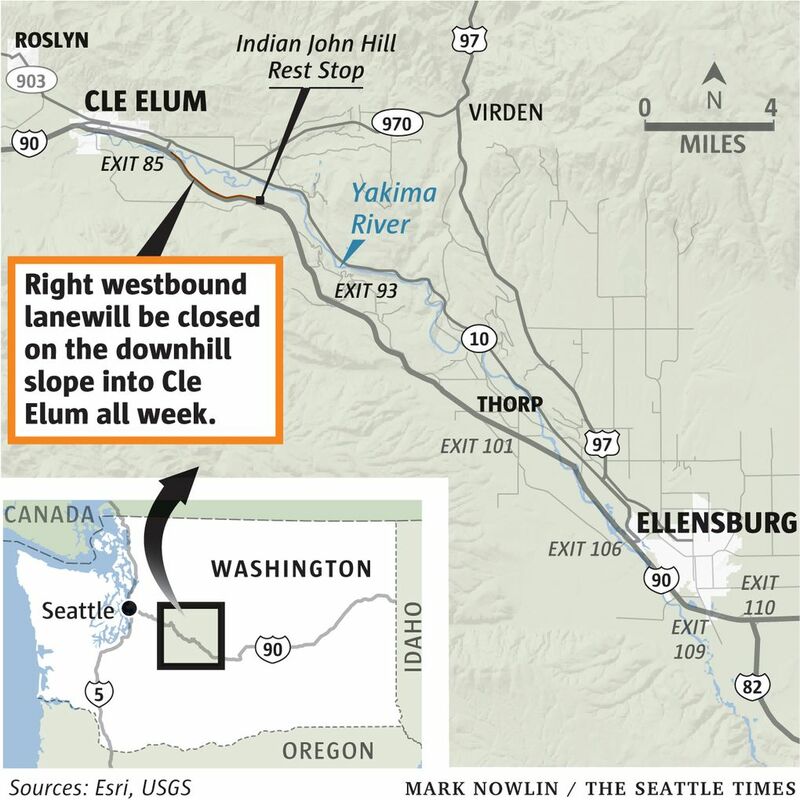 “There’s so much going on in our state, there’s just no good time to close a lane on Snoqualmie Pass,” he said. But the expected traffic snarls didn’t materialize last weekend.